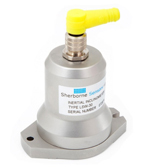 The research we undertook into Sherborne Sensors' specific area of product expertise in the US electronics market led us directly onto the development of a US sales and marketing strategy which enabled the company to successfully break into this significantly larger market. We developed a strong, clear proposition for the company that lifted them above the competition and then assisted with the structuring of a US management team (including recruitment of senior personnel through our US connections) to give the company a credible and firm foundation in the US. The outcome was that the directors/shareholders agreed a subsequent sale of the enlarged business for considerably more than it was valued at prior to our involvement, much to their delight as they had been looking for a profitable exit route for some years. 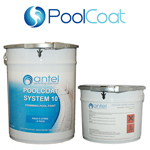 Antel was producing high grade epoxy based coatings which were used primarily in the UK private and commercial swimming pool markets. Previously these products had been sold by often unreliable agents. Following market research into the significantly larger European and US swimming pool markets, we developed an on-line strategy to sell and ship the products directly to consumers in these geographies. We created a compelling, multi-language, e-commerce enabled website and then launched the refreshed company and its products internationally through specialist media. The client now has an internationally recognised brand which he has also been able to expand into other commercial areas. In addition to the significant increase in sales, the profit margins are much higher than previously as the company is not sharing any margin with agents. It is also now a primarily cash business as payments are made securely on-line at time of order and the products made to order. When one of the last remaining knife manufacturers in Sheffield approached us about taking to market a new range of knives, many of which had been co-developed with leading survival specialists, our thoughts turned to the US. Research into the US market enabled us to identify a way to differentiate our client using the Sheffield heritage within what is a significant but busy market. We developed a new Scorpion Knives brand and market entry strategy with an on-line presence enabling knives to be bought directly from an engaging e-commerce website. With a highly targeted and cost-effective media plan and sales growing quickly it didn't take long for the major US distributors to approach our client and offer to carry the range into specialist retailers. Furthermore, as brand recognition grew so did the reach with on-line customer orders and requests from distributors to carry the range coming from all corners of the globe. 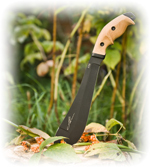 This successful brand is now synonymous with craftsmanship and quality and for producing some of the best outdoor knives in the world. What can a marketing consultancy do for your business that you can't do yourself? Well if you have all of the resources needed, the true answer is nothing! However, if you don't have the resources, the people, the reach, the expertise or the experience but do want to improve your marketing and grow your business then we can deliver all or any aspect of this - whatever best fits your needs. Speak to us today and see how we can get your business booming.